I am a total perfectionist. Guilty. When it comes to knitting, I’m even worse. I am merciless with my knitting. I’ll unravel an entire sweater if I don’t like how a cast-on edge is laying. It drives my husband nuts. He’ll shudder and yell “No!” when he sees me start to frog* a project. But, if I know a project is so messed up, ill-fitting, or just plain wrong to wear on a regular basis, I have no trouble ripping up a project and re-knitting it until it’s perfect. Practically, this means that if the mistake isn’t big, doesn’t affect the overall fit of the garment, or falls outside of the most visible areas of the garment (for example, in the armpit of a sweater), you can leave the mistake be. Unless you are dumb and a perfectionist like me. *Frog-knitterspeak for unraveling a piece of knitting, because you “rrrip-it, rrrip-it.” A dumb term, but don’t blame me. I didn’t make it up. 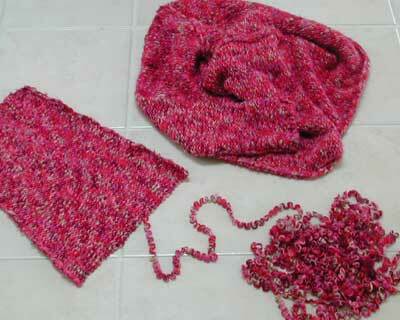 This entry was posted in FYI and tagged frogging, knitting, perfectionist, ripping on April 22, 2013 by onemilljellybeans.